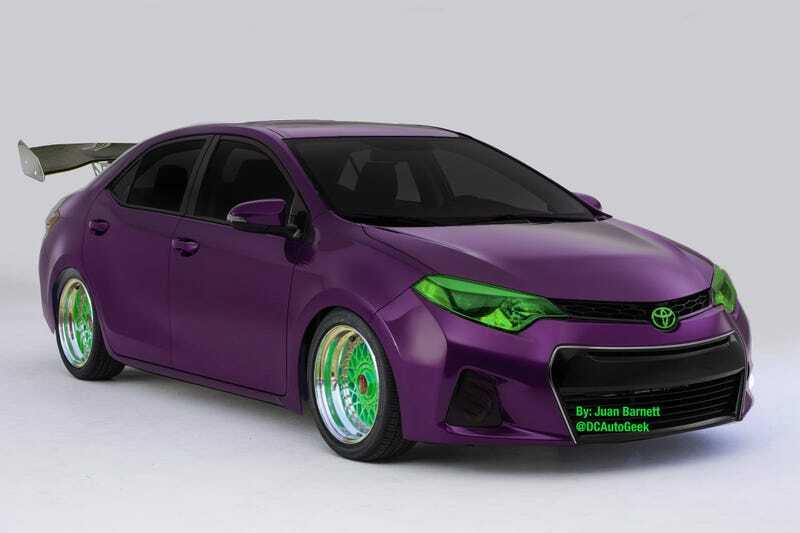 I decided to go ahead and prepare a 2014 Corolla for SEMA. The other two photos below were by special request. *Note: I've only been using Photoshop for a month, so...cut me some slack! Not nearly as good as the first one, but funny nonetheless. OK, your turn. Lets see your shops.